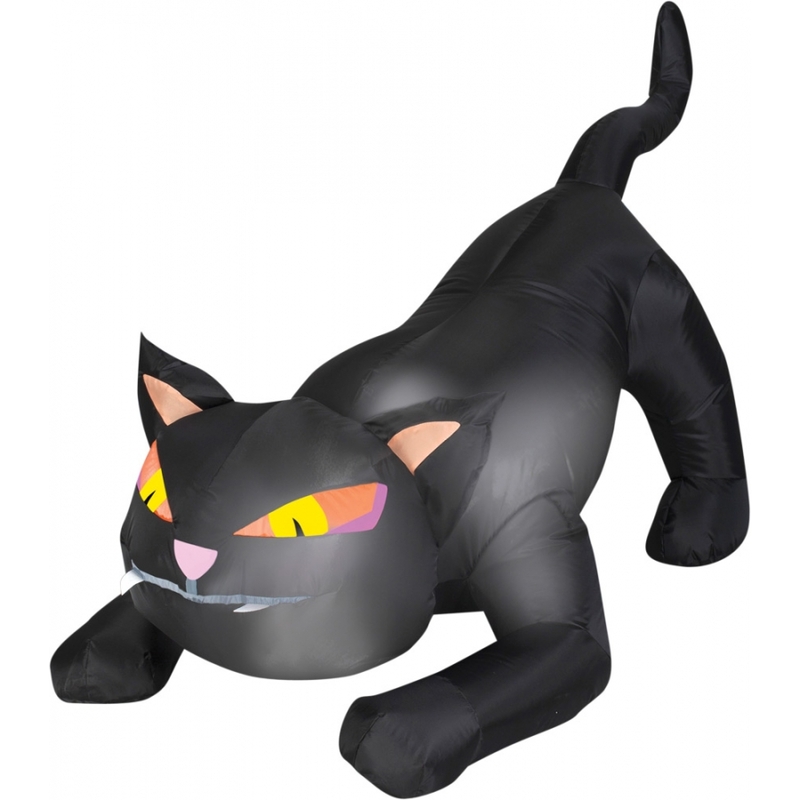 Great little inflatable cat can be put in any dark corner and appear ready to pounce on an unsuspecting passerby! Airblown gives your decor maximum impact with minimum effort and it comes with everything you need for quick and easy set-up. You just stake it down and plug it in. Light-up eyes with clear LED lights Self-inflates in seconds Deflates for easy storage Made of plastic and polyester Dimensions: 28 inches tall X 50 inches long.